Nupur Talwar's father B G Chitnis told the media that the dentist couple had left for Punjab and added that they would celebrate Diwali at home. 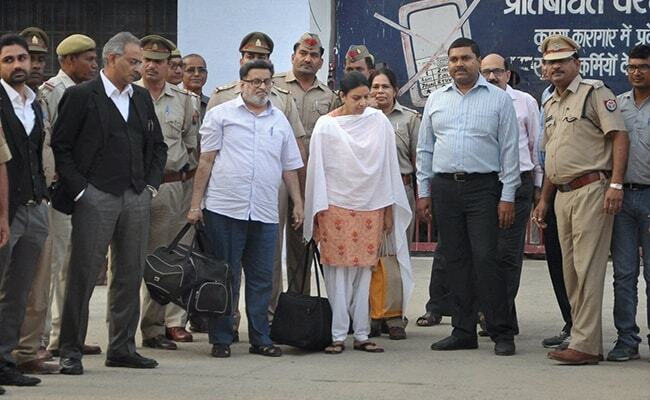 Noida: Dentist couple Nupur and Rajesh Talwar today embarked on a tour, a day after they walked out of Dasna Jail in Ghaziabad after four years behind bars. 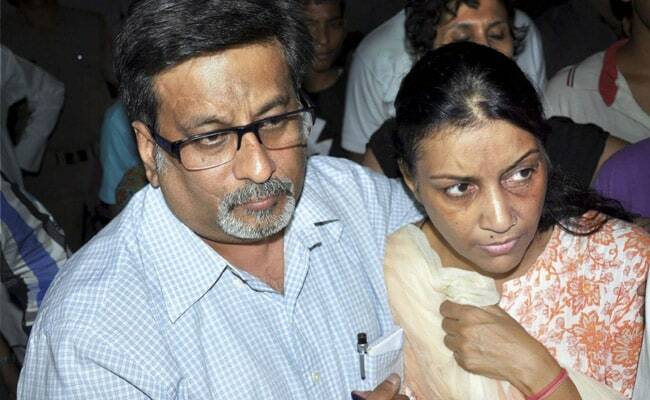 The couple left Nupur Talwar's parents' flat in Noida in a car this morning. They refused to talk to a posse of mediapersons waiting outside the complex to get a response from the couple on their acquittal in the murder case of their daughter Aarushi and domestic help Hemraj. Vandana Talwar, an aunt of Aarushi, told reporters that the dentist couple had left on a tour. They are interested in visiting the Golden Temple in Amritsar, she added. Nupur Talwar's father B G Chitnis told the media that the dentist couple had left for Punjab and added that they would celebrate Diwali at home. "They are not in a position to talk to the media now...It will take some time for them to register this. 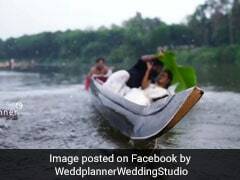 They will talk to the media on a later date," Vandana Talwar said. After their release from the jail yesterday, the police escorted the couple to Aarushi's maternal grandparents' house in Noida's Jalvayu Vihar. The Talwars lived in another flat --where the double murder took place on May 16 in 2008 -- in the same housing complex.